Ewingsdale Hall is a great option if you are looking for a wedding venue with community/country hall feel. It has a number of ceremony options both indoor and outdoor including a church right next doors. Surrounded by lush green fields and a beautiful row of Fig Trees, there are plenty of options for your location wedding photography. 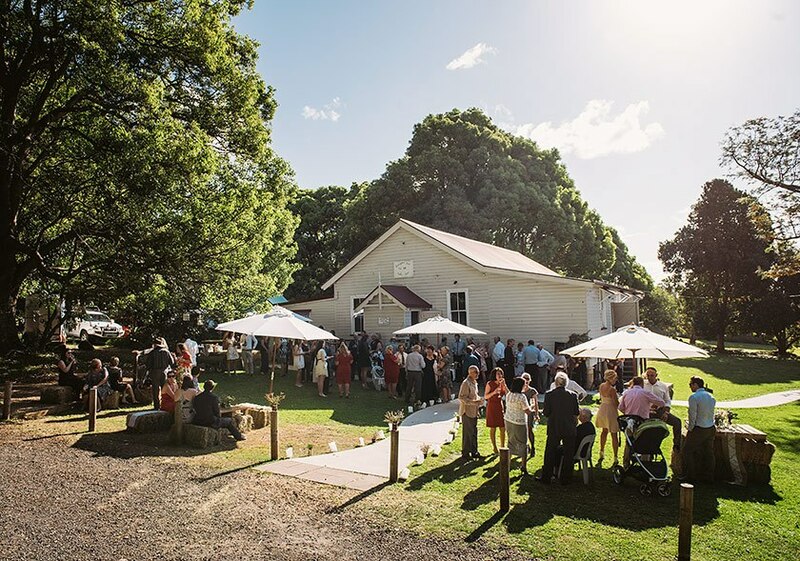 It is only a short drive into Byron Bay so your guests will have no problem finding a place to stay after the big party. If your interested in having me photograph your wedding at Ewingsdale Hall please contact me below. Photography prices and packages will be emailed to you. See a recent Ewingsdale Hall wedding that I was the photographer click here – Petria & Josh. To enquire with with Ewingsdale Hall and request their pricing and packages click here. Every couple has a story. Let me tell yours.